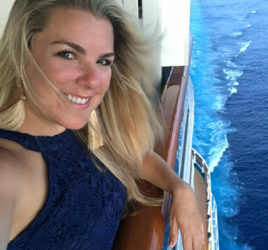 I recently got back from a Carnival cruise with my family and we had a great time. 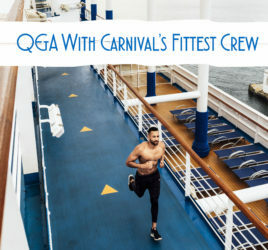 Last time I went, I blogged about how you can stay fit on a cruise – since they have so many options. But, this time around – I wanted to focus a little more on the food. 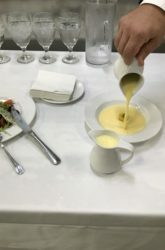 Even if you have never been on a cruise before – you may have wondered how do they feed so many people and also is the food in the dining rooms any good? I have to say that yes, their food (and staff) are on par with the best restaurants on land. 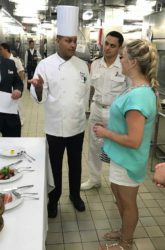 On my last cruise I got to have a special tasting and behind the scenes tour which really made me appreciate all of the hard work and creativity that goes into the dining experience on board. 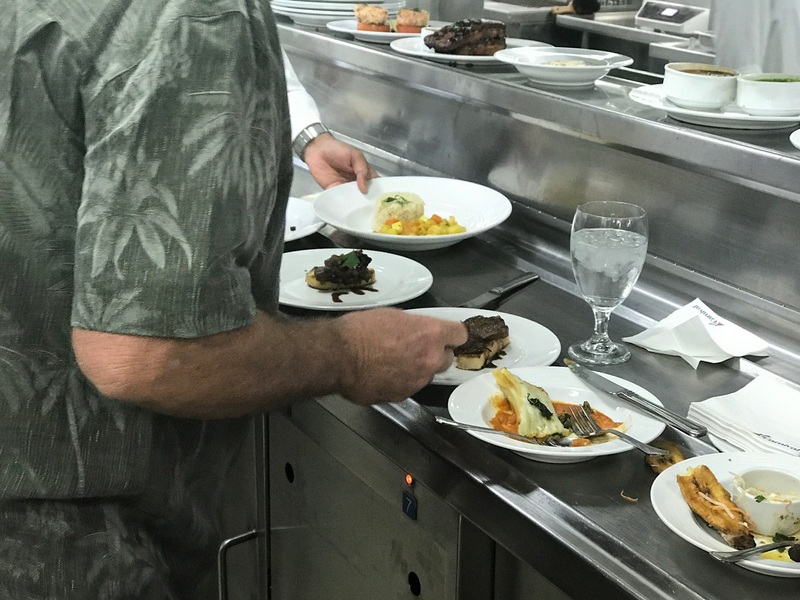 I had the pleasure of getting to know our Maitre d’ on our ship Mr. Csaba Varga Attila and he invited us to have a special tour of the galley (aka kitchen area) during our cruise. 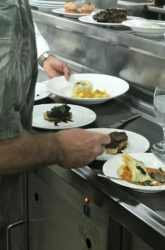 Not only did we get a private tour – but they prepared a special tasting of the entire menu for that evening’s dinner, including all options for starters, main courses and desserts. When we first arrived we were greeted by the Chef de Cuisine Mr. Ramesh and Food Manager Mr. Milind along with Mr. Attila. 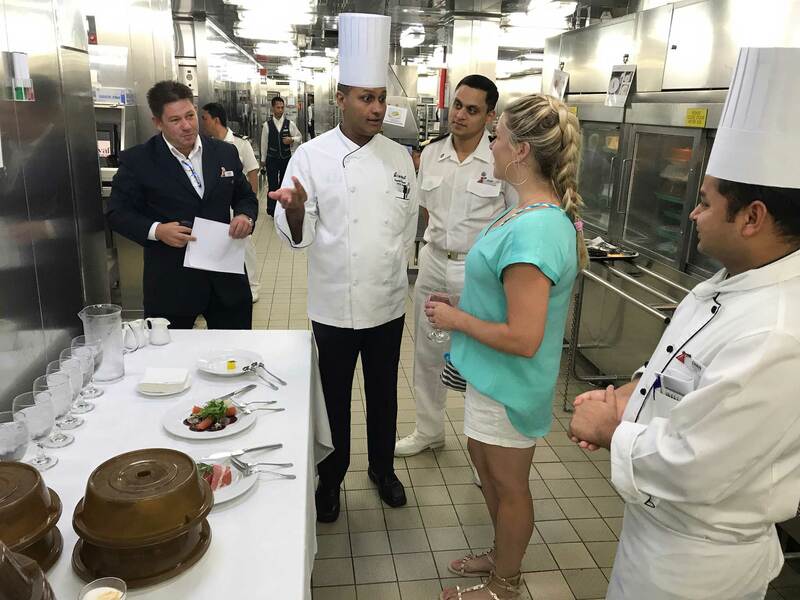 They gave us a little introduction about how many meals they have to prepare each day (2,000 in each of the 2 dining rooms – including breakfast and dinner) and how they go about creating tasteful and innovative menus that will please everyone. 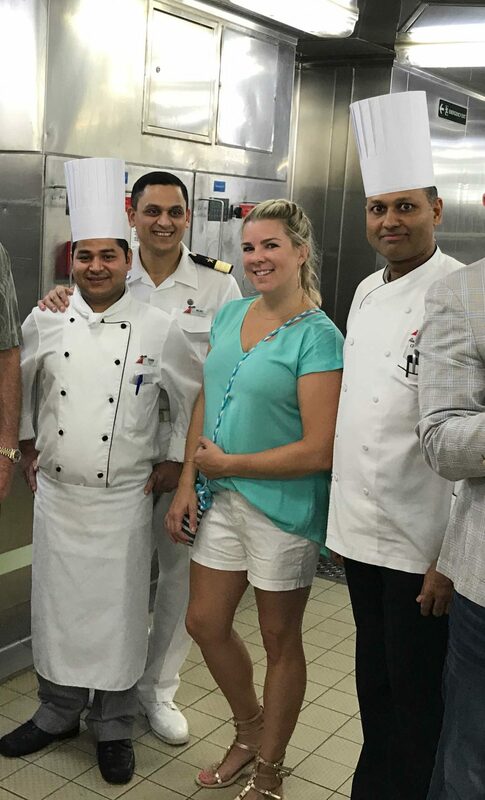 There are so many cruisers (3,000+ on many ships) and they have to make meals appealing to everyone from the health fanatic to the foodie. So, they offer a huge variety meal options including vegetarian, vegan, nut-free and gluten free. 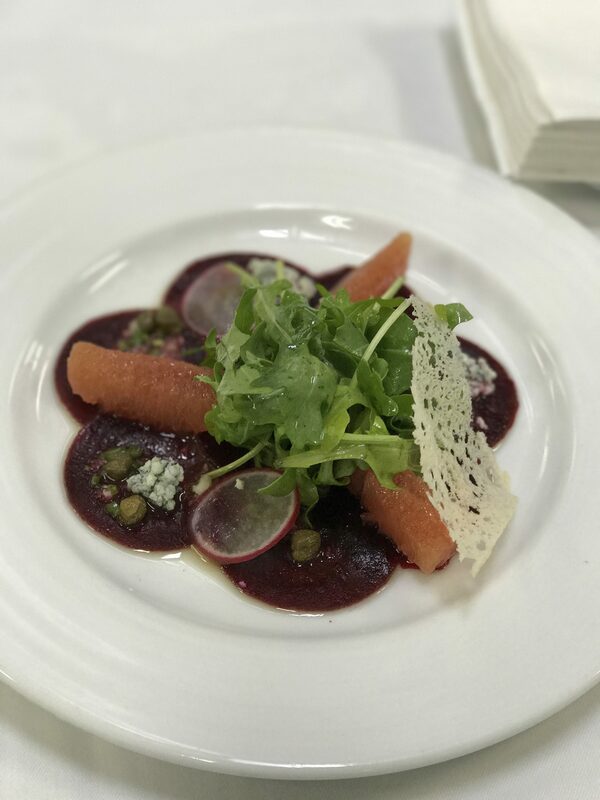 I am a pretty healthy eater and loved sampling all the creative vegetarian options like the beet carpaccio. But, my Dad (who was also with us) is a big foodie and loves meat – so he really enjoyed sampling the ox tongue and other more decadent items. Every night they have at least one vegetarian option, but you can also make special requests for allergies and preferences. Being able to go to the galley, meet the chefs and have a private tasting was a real treat. I want to especially thank Mr. Attila for giving us the tour and making our dining experience wonderful. 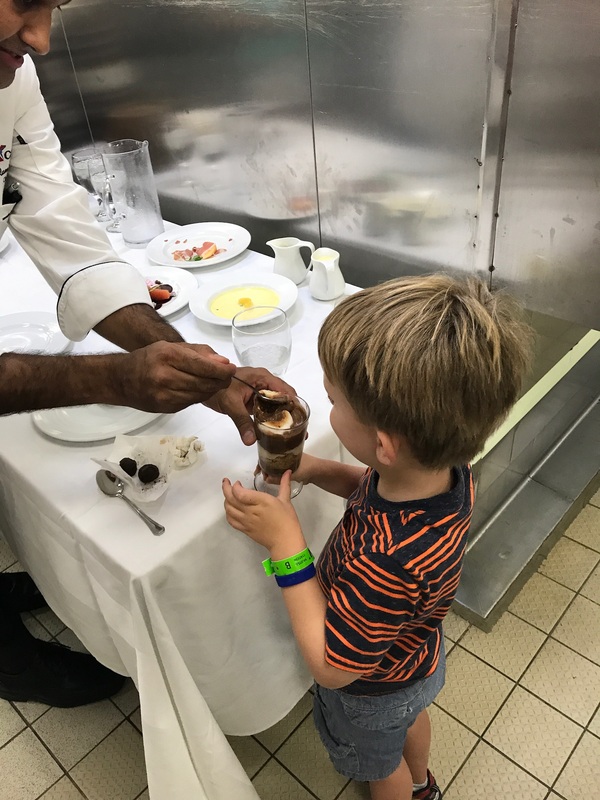 Also, thanks to the rest of the carnival dining staff and chefs for making my family’s cruise extra special! 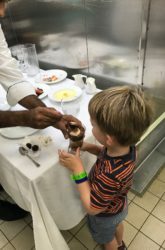 My son loved the s'mores sundae. Introduce yourself to the Maitre d’. 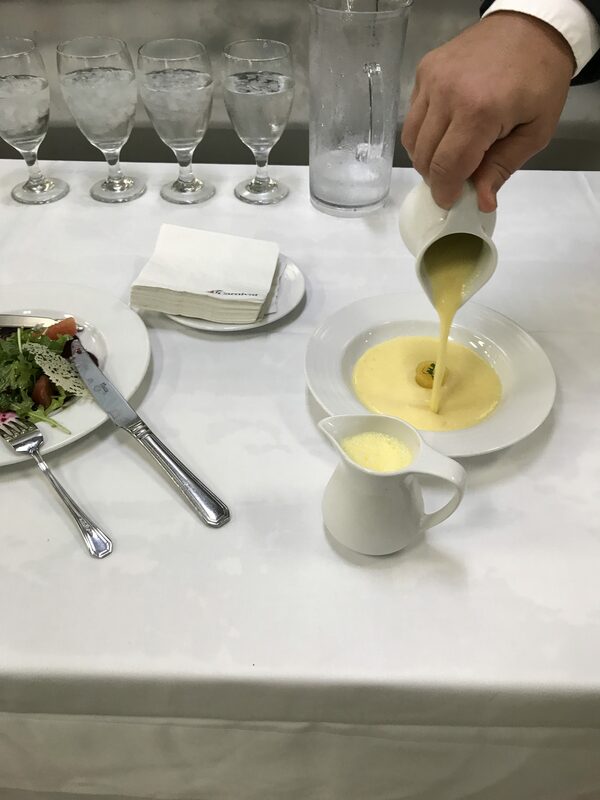 He can help arrange your table so you can sit with family and friends and also alert the chef and waitstaff if you are celebrating something or have questions about dining. If you have any special dining requests – ask your waiters. They can have the chef prepare something special for you – even if it’s not on the menu. For my baby, they would bring out special purees of veggies and other baby-friendly options. 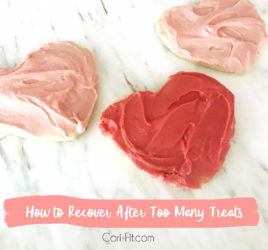 For me, I asked for plain grilled chicken and steamed veggies some nights when I had too many treats during the day! They are kid and baby friendly – so don’t be afraid to bring your little ones. They have highchairs, kids menus, crayons, etc. Our waiters even tried to entertain our little ones by making animals out of napkins and telling them jokes. Also, some nights they do performances and get dressed up and dance around and it’s a lot of fun. Try the “port of call specials”. 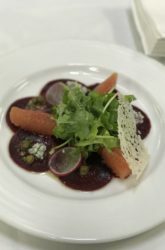 Each day you are at a new port – they will have special menu that samples some of the local cuisine and they do a great job creating these specialty foods. It’s still easy to over-eat in the main dining rooms at dinner even though their portion sizes are not super big. You are able to order an appetizer, salad/soup, entree and dessert and can even have more than one of each. Try to follow the 80/20 rule. Order 80% healthy and then the other 20% splurge on a small appetizer or dessert. Also, for dessert – they almost always offer fresh fruit and/or a sugar free option. You could order fruit and then split their famous melting chocolate cake (aka “Micky Mouse” cake). Other more casual options are always available for dinner, but I highly recommend dining in the dining rooms at night – it’s a real treat.